INCREDIBLE 2011 BMW X6 5.0I X-DRIVE LOADED WITH SPORT PACKAGE, WOODEN TRIM INTERIOR , PREMIUM SOUND , VOICE ACTIVATED SATELLITE NAVIGATION SYSTEM WITH LIVE TRAFFIC UPDATES AND 3D VIEW, REAR VIEW CAMERAS, FRONT AND REAR PARKING DISTANCE CONTROL, TECH PKG., HEADS-UP DISPLAY, BLUETOOTH, BLUETOOTH MUSIC STREAMING, AUX AND USB INPUTS, COMFORT/LUXURY SEATING PKG, 3 STAGE HEATED SEATS, ACTIVE XENON HEADLIGHTS, LEATHER WRAPPED STEERING WHEEL WITH MOUNTED PADDLE SHIFTERS, ON BOARD COMPUTER POWER HATCH, 20 INCH SPORT RIMS, AND MUCH MORE.................BAD CREDIT, NO CREDIT NO PROBLEM, APPROVAL IN MINUTES SAME-DAY DELIVERY GUARANTEED. 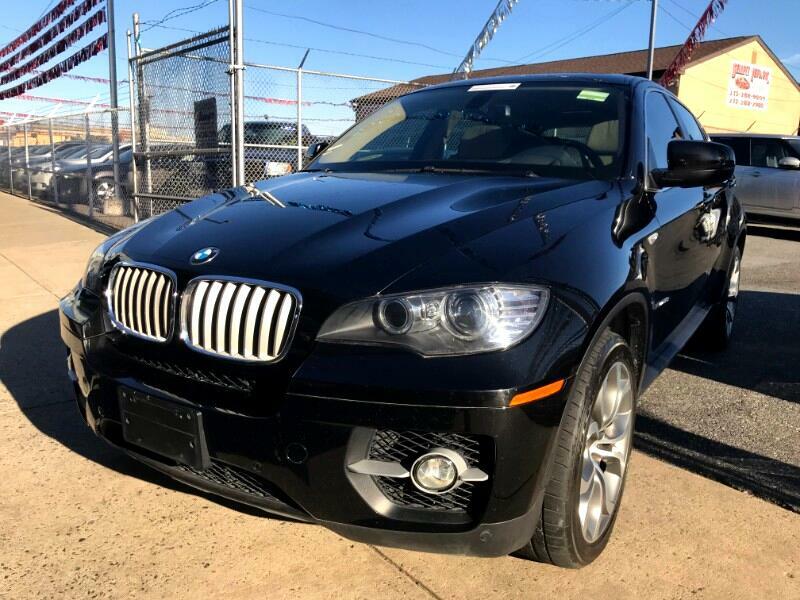 PLEASE CALL (215)288-5277....PRICE IS BASED ON $2,000 DOWN PAYMENT,PURCHASE OF THE EXTENDED SERVICE PLAN FOR 2 YEARS AND 24,000 ADDITIONAL MILES.......TAX, TITLE, REG. DEALER FEES ARE NOT INCLUDED.